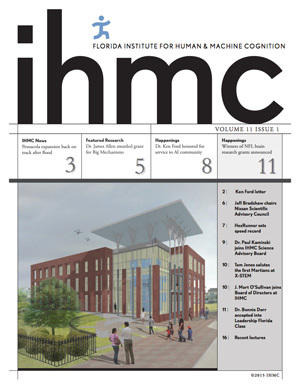 Pensacola-based Dr. Kenneth M. Ford, CEO and Co-Founder of the Florida Institute of Human & Machine Cognition (IHMC), has been named to join an elite group of industry leaders on the newly formed National Security Commission on Artificial Intelligence. 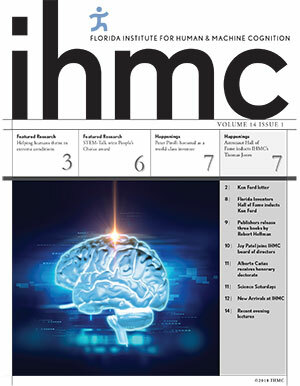 Created under the National Defense Authorization Act for 2019, the independent federal Commission is expected to review global advances, investments, and strategies in artificial intelligence (AI) and related technology systems, evaluate foreign developments and investments in AI, and recommend steps the United States might take to support its technological edge, while ensuring national security and competitiveness. 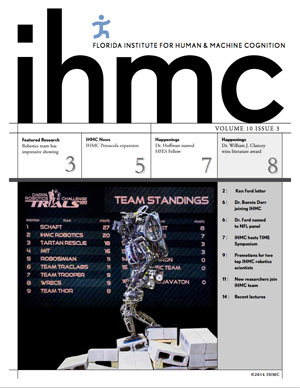 Among its tasks, the Commission will consider military uses of AI, review “ethical considerations” that may result from advances in AI technologies, and evaluate opportunities to stimulate AI research and workforce development investments. 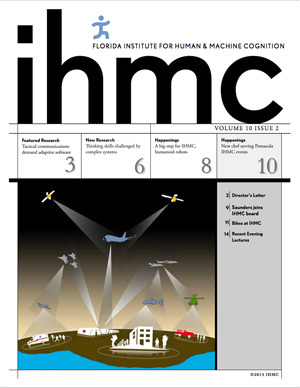 A recognized pioneer in machine cognition and AI systems, Dr. Ford’s participation on the Commission will bring particular insights into groundbreaking innovations in machine learning, cyber intelligence and security, robotics, sensory substitution, and data mining, while showcasing the thriving AI and defense-related industry activities taking place in Florida. The 15-member Commission will be headed by former Google CEO and Chair Eric Schmidt and includes top executives from Oracle, Amazon and Microsoft, as well as senior representatives from the technology, intelligence, and defense sectors. With $10 million in funding dedicated to its work, the Commission is charged with producing a report for the President and Congress with recommendations for “action by the Executive Branch and Congress related to artificial intelligence, machine learning, and associated technologies.” . The Commission’s findings and recommendations are fast tracked with an initial report due in 90 days, and annual reports to follow in August of 2019 and 2020. Dr. Ford has served on a number of top national boards and commissions, including the Defense Science Board, National Science Board, and Air Force Science Advisory Board. He was on the Advanced Technology Board (ATB), which supports the Office of the Director of National Intelligence, and served as chair of the NASA Advisory Council. He was named by Florida Trend Magazine as one of Florida’s four most influential citizens in academia. Ford also was awarded NASA’s Distinguished Public Service Medal, which is the highest honor the agency confers. In 2018, he was inducted into the Florida Inventors Hall of Fame. 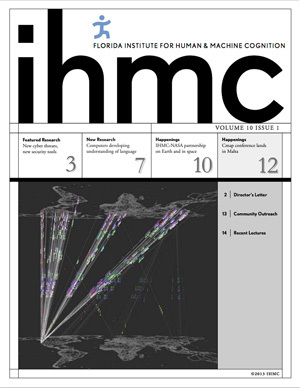 Co-Founded by Dr. Ford in 1990 at the University of West Florida, and incorporated as a not-for-profit research institute under the State University System in 2003 by the Florida Legislature, the IHMC is home to top scientists and engineers collaboratively engaged in cutting edge developments in the fields of artificial intelligence, robotics, human-machine interaction, cognitive psychology, computer science, and human performance. 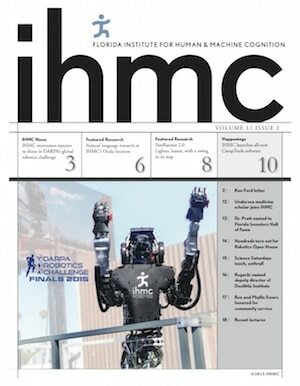 IHMC researchers are rethinking the relationship between humans and machines, and defining new directions in human-centered computing. 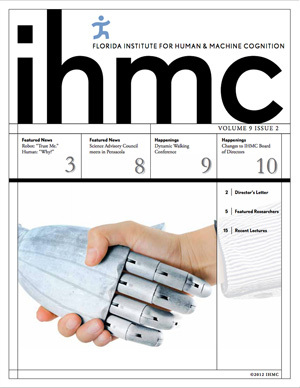 IHMC collaborates extensively with industry, government, and university partners to develop sophisticated technologies that can be enabling with respect to society’s broader goals. 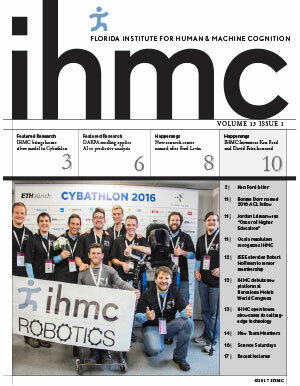 Through its groundbreaking work with NASA, DoD, DARPA, and a range of private sector partners, IHMC has earned global recognition.